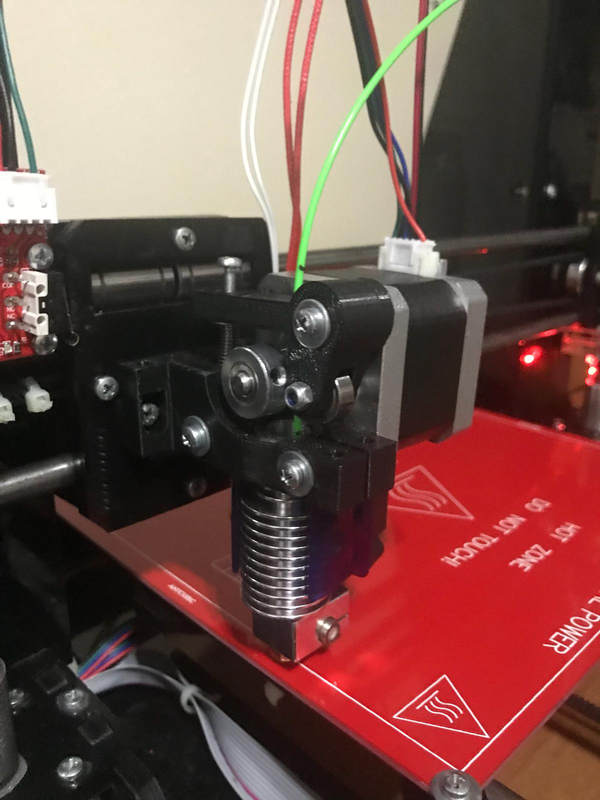 I have corretcly set the step per mm for extruder motor and everything is working properly when I send manual order. However when I want to print something, everthing works including extruder motor but nozzle does not extrude filament. // If it is incompatible you will get compiler errors about write functions not beeing compatible! >However when I want to print something, everthing works including extruder motor but nozzle does not extrude filament. If motor works there should be no problem, so please be more precise what motor is doing. If it goes up/down you might be extruding relative in absolute extrusion mode. The fact that manual extrusion works should mean firmware is configured correct. Have a good look at the gcode you send. Extruder motor turns consistently it moves the filament into nozzle but it does not extrude the filament. When the filament reach into deep in nozzle, motor turns but filament is not moving because it is not extruding. How can I check the extrusion mode ? in that case your hotend is blocked. Guess you try to print PLA . regarding the picture i can see Fan is mounted to high , and it has to run as soon as hotend gets heated. anyway , PLA on full metal Hotend, especially the not Original E3D´s is quite tricky. It depends on surface quality of Heatbreak. think you have to clean nozzle first. Is the nozzle getting hot enough ? try melting a bit of fillaament on the outside of the nozzle. 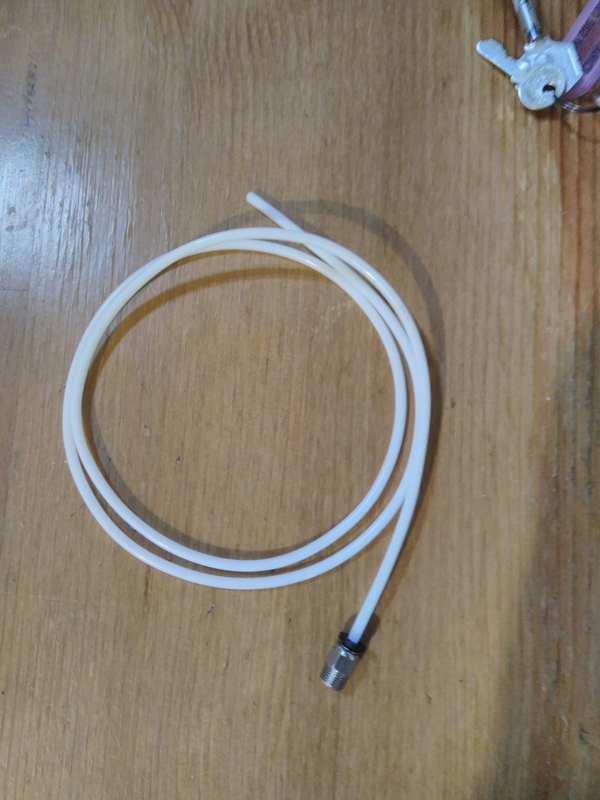 The PTFE liner has not to be placed on top, it has to go inside the Coldend and also inside the heatbreak. How deep depends on Heatbreak, if full metal or light Version. I Know These Hotends are sold as "universal" but without the PTFE liner inside they are useless. I gues I detected the problem. I have just realized that when I want to extrude filament manually, extrude's motor is turning fast enough and nozzle is extruding the filament. However, while it is printing extruder's motor is turning soo slow and it does not carry enough flament to nozzle. In my opinion, this proplem arises because of wrong firmware settings. Which settings should I check about extorsion ? How can I adjust the correct eeprom setting for extruder or extorsion. I have correctly set the step per mm for extruder but some settings like feedrate or acceleration for extruder are untouched.